Available in three sizes Monsoon is very easy to use and re-use. It is the perfect graphics carrier for venues, events, exhibitions, promotions and indoor or outdoor shows. It is also now available in wall mounted format, suitable for indoor or outdoor use. This format is also easy to fit and assemble and the graphics can be changed regularly to suit your needs. It is available in standard or custom sizes. 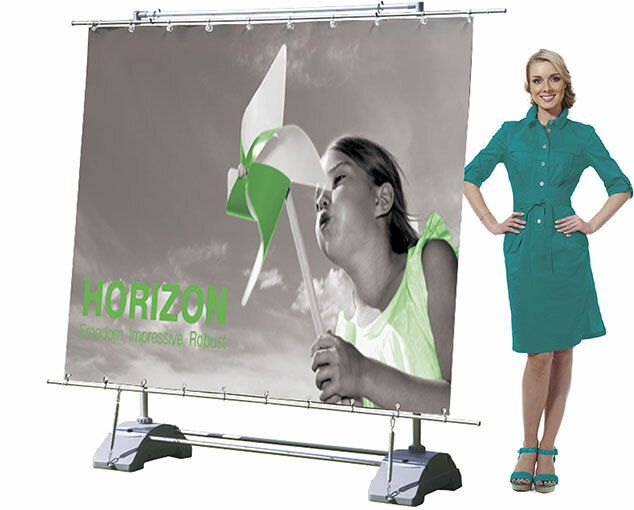 As the largest graphic display in the outdoor range, Horizon is the perfect solution for large scale promotions. It is ideal for outdoor events, advertisements, exhibitions and public areas such as airports and shopping malls. You can achieve maximum impact for your message; with individual units linking together to form a display wall. 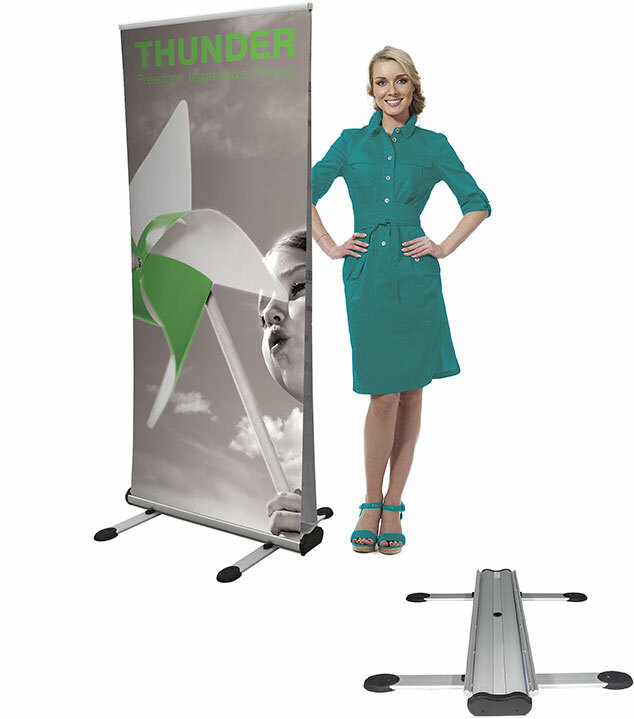 Thunder is the only double-sided retractable outdoor banner and is ideal for outdoor use being strong, durable, very easy to assemble and transport. 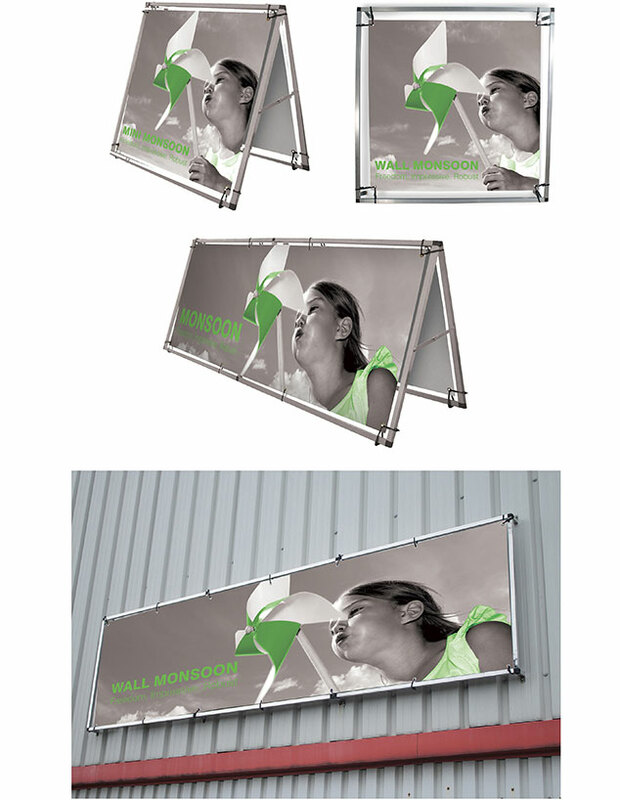 At 2m high Thunder will display your message on both sides for maximum viewing impact. Base units hold 28 litres water approx.